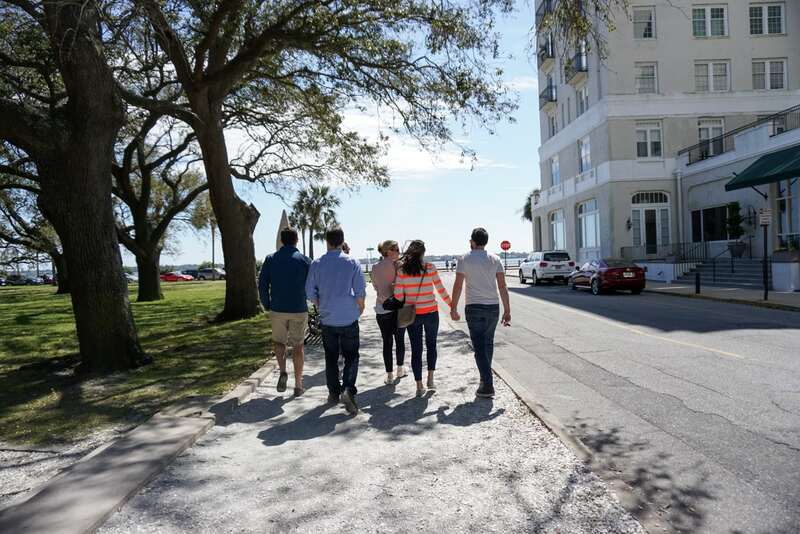 As many of you saw on Instagram, my best friends and I planned a little trip to Charleston – and it was a total blast! I figured I’d share a bunch of the fun in my stories (most of which you can still watch in my TRAVEL Story Highlights! ), but as soon as we got there, I knew I wanted to do a recap post beyond just the cute dresses I wore – although, those will be coming next week ? 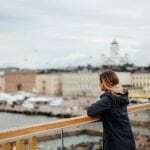 And while I am SO excited to write a post all about how the heck we found a weekend that worked for 10 busy people, this one is all about what YOU can do on your next trip to this adorable city. 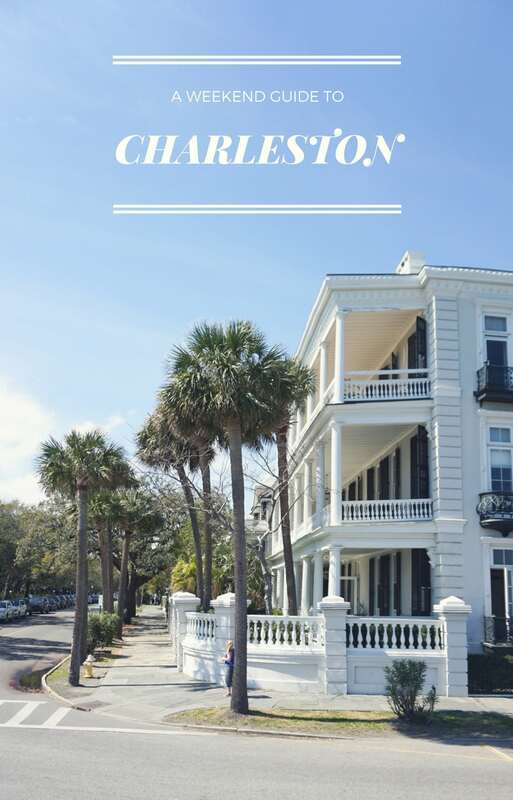 So here it is… my Weekend Guide to Charleston! 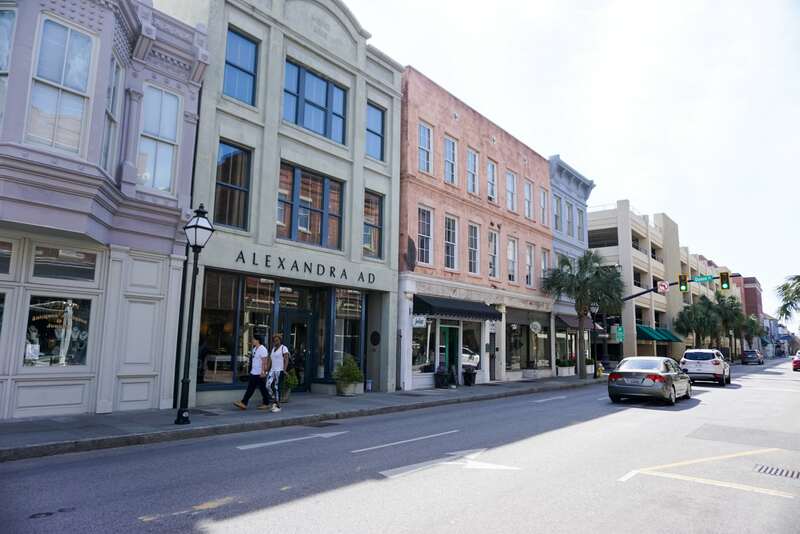 For our group, the biggest perk of Charleston is that it’s SO walkable. 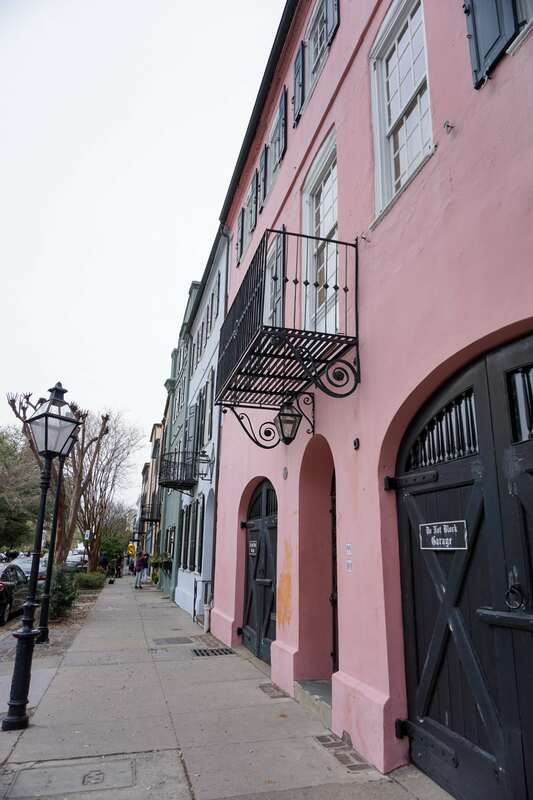 We walked from King Street down to the South of Broad neighborhood, up the coastline, back towards King – and it was the perfect way to get our bearings and see a lot. There are also cute bars and restaurants everywhere, so popping in for a drink or oyster shooter couldn’t be easier. And on that note, the food is amazing! I wish we could have hit up every hot spot, but we certainly did our best – especially with 10 people and only 2.5 days! This was definitely everyone’s favorite meal of the trip. Seriously, I think any one of us would talk your ear off about it if you let us! As you can see, the exterior is absolutely STUNNING, so that automatically got us all excited. Then while we were ordering mimosas in their beautiful light filled dining room upstairs, our waiter told Adam and my friend Chris about their special whiskey flight that you can ONLY get at Husk. To say these two were happy about what was brought out to them is a vast understatement. And this is all before the food! Since the menu changes every day, I’m not sure you can get exactly what we ordered, but just trust me that it was all delicious. Everything from their light as air fried biscuits (pictured below) to the perfectly cooked bacon to their cheesy jalapeno grits and UNREAL french toast – this was a meal I’ll always remember fondly. 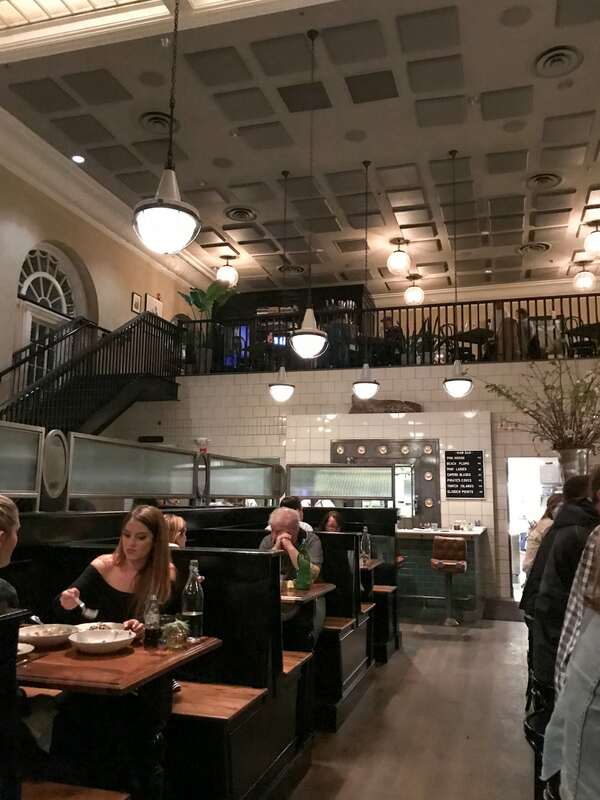 A ton of your recommended Leon’s when I asked for suggestions, but I kind of wrote it off because places that don’t take reservations are tricky for big groups. But since there were only 4 of us on Monday afternoon, we decided to check it out before heading to the airport. Not only did it live up to the hype, but it totally exceeded it! 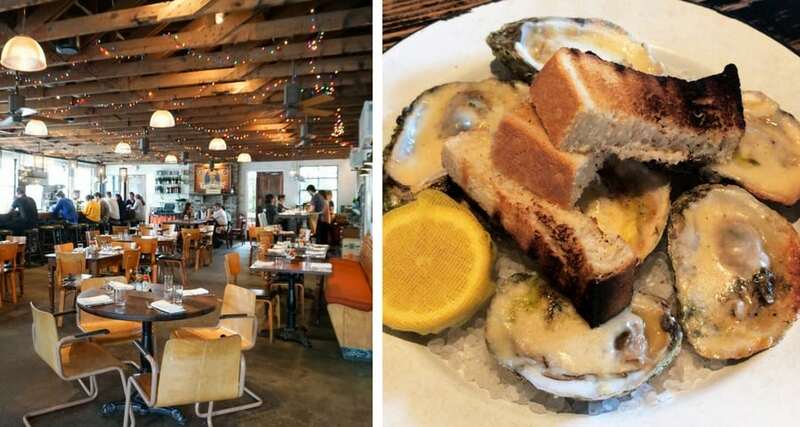 We started by sharing the Char-Grilled Oysters, and they were so good, we asked the waiter how they were made… don’t worry, I’ll update you if we try to recreate them ourselves ? Then as if the fried chicken sandwich that Adam and I split wasn’t heavenly enough, we ended the meal with soft serve covered in sprinkles. I mean… TOO GOOD. 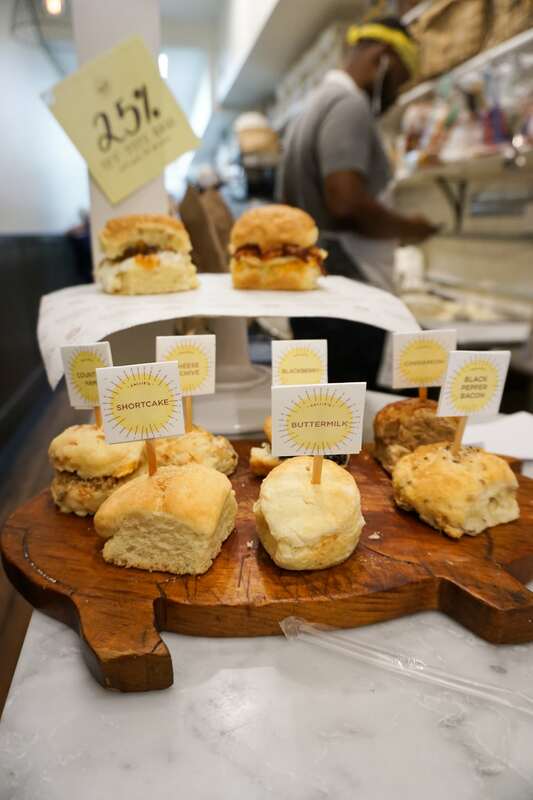 Getting good southern biscuits was one of the highest ranking to-do’s on our Charleston bucket list. So when we found out about Callie’s, we knew we had to make it a priority. 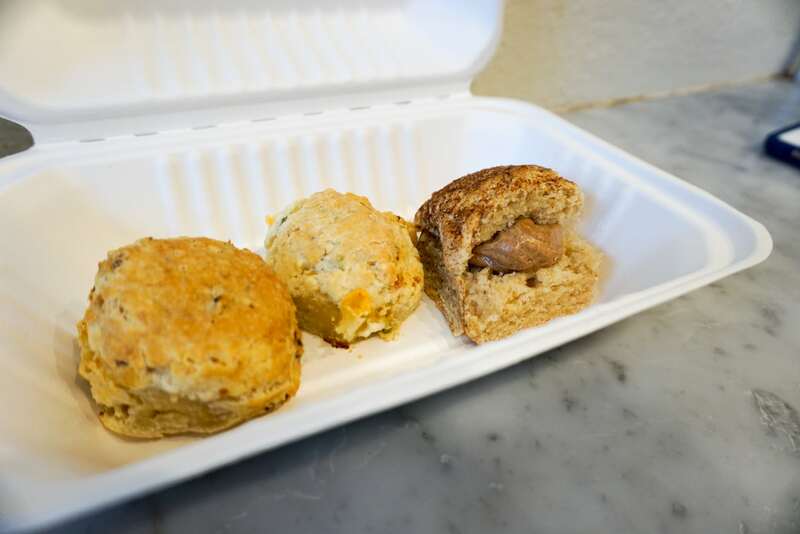 Turns out the shop is really tiny and adorable, and the biscuits are everything we wanted them to be. My favorites were definitely the Cheese & Chive and Black Pepper Bacon flavors! Can you spot Adam? ? This was our first meal all together, and it really set the tone for the rest of the trip. The interior feels a little bit like the East Coast I’m familiar with – which felt appropriate considering we were with 2 Connecticut couples! Very nautical and inviting. They also had delicious cocktails (get The King’s Honey! ), a great menu, and of course, beautiful platters of oysters! Highly recommend this cute spot. We originally liked the idea of Indaco because they took a reservation for 10 and it was close to our AirBNB. What we didn’t anticipate was how much we would love getting a little break from heavy southern food! We ALL ordered salads to start the meal because we knew we needed some healthy greens in our lives ? The pizzas, wine, and service was all lovely, too. 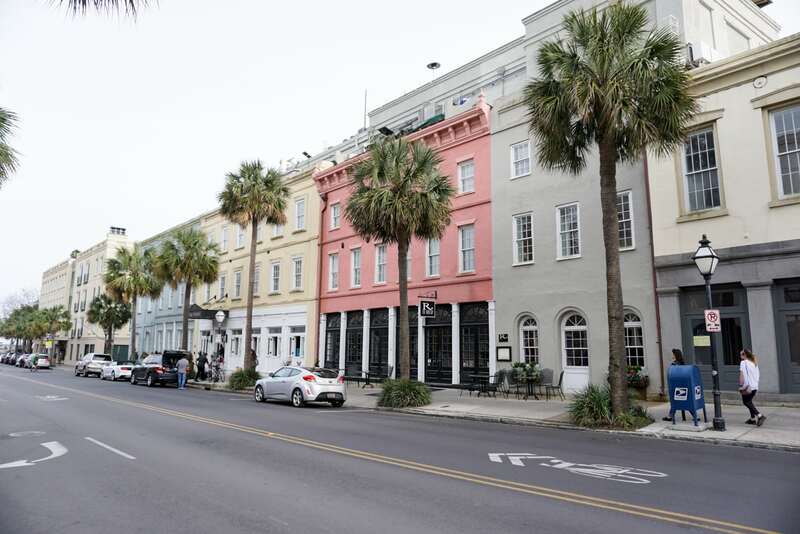 Who would have thought we’d fall for an Italian restaurant in Charleston?! Adam and I randomly found this place when it was just the two of us on Friday night – and what a gem it is! You walk down this sweet little alley to the restaurant, which opens up to the street, yet is totally unassuming. We weren’t starving so we just split some appetizers, but what we had was delicious. A great date night spot! Magnolias was definitely this biggest let down of the trip – but I almost feel bad saying that because it wasn’t bad at all. Just not my cup of tea. The cocktails were underwhelming, the portions were humongous, the food was very heavy, and the prices were pretty steep. I could barely get through half of my entree! That being said, if Adam and I had split it, maybe I would be singing a different tune. Moral of the story: I’m thrilled that I can say I’ve eaten traditional Shrimp & Grits… but I really don’t feel the need to do it again ? 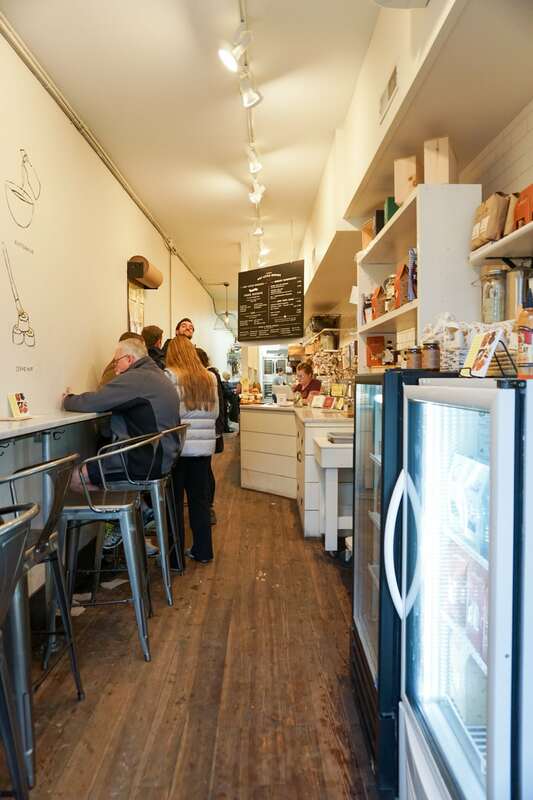 Okay, I’ll admit – I was pushing to go here because Julia from Gal Meets Glam loves it. GUILTY! Luckily, it was an awesome place for our group to go for after dinner drinks. Their cocktail list is extensive to say the least, and they also have house made fireball! Oh yeah, believe it!! I have two words for you. OYSTER. SHOOTERS. I’ll be honest, I got a little nervous when it was actually handed to me… but damn, they were delicious! A great bar on King Street to hear live music. They also have a patio in the very back with tons of seating and heaters! When I say we found a Chicago bar in Charleston, I mean we found a decked OUT Chicago bar! Not only did they have sports paraphernalia everywhere, but they also had Clark and Addison street signs! It was such a fun place to get a nightcap. Yay Chicago pride! 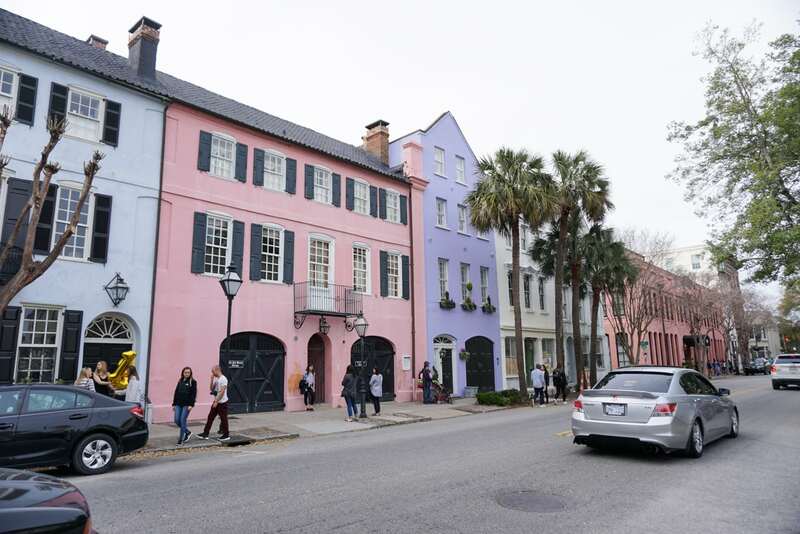 A row of bright pastel colored buildings? Obviously this was a non negotiable stop for me! DUH. Not surprisingly, there were a ton of people around snapping instagrams and doing photoshoots… but even though it was busy, it was still so fun to see! Remember The Obstinate Daughter? That’s on Sullivan’s Island! And since we were there for the meal anyway, all we had to do was walk a few blocks and we could put our toes in the sand. It was a little chilly and windy when we were there, but I can imagine it’s absolutely lovely on a warmer day! 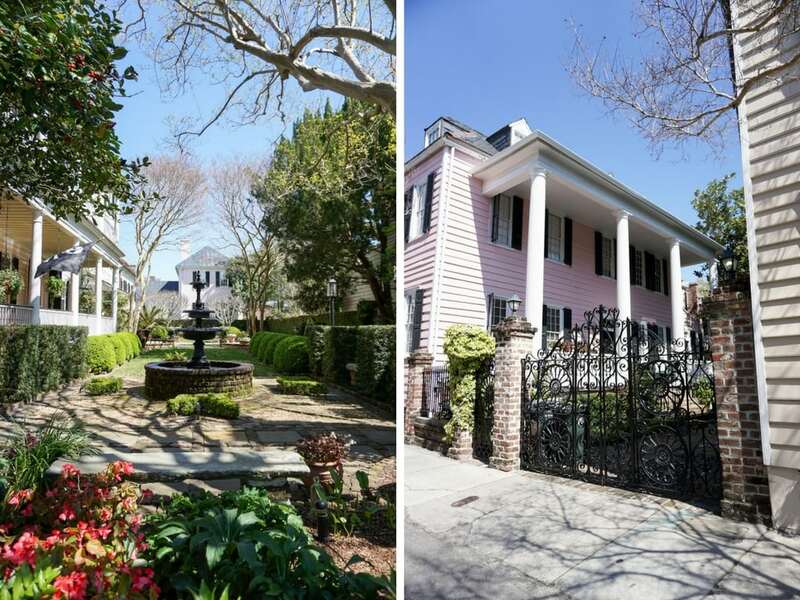 I’ll be honest, I liked Charleston right away, but I didn’t love it until we walked through the South of Broad neighborhood. 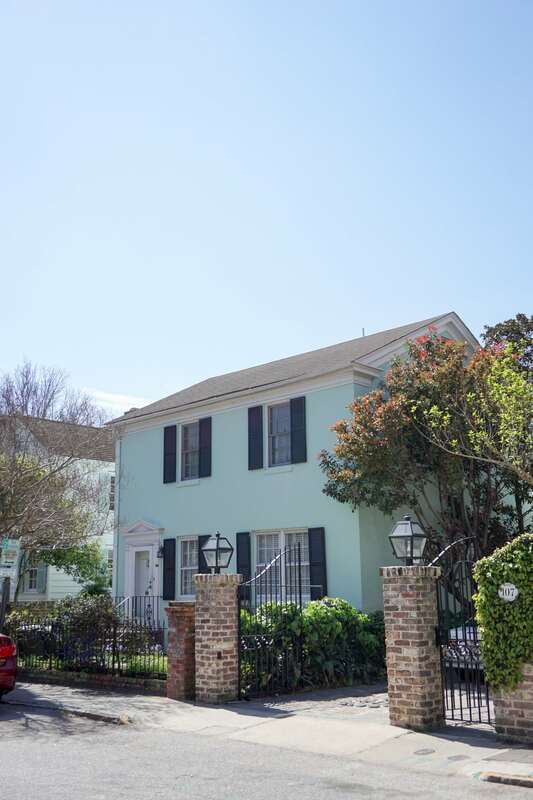 THIS is where you see the real charm of Charleston – in the gorgeous, colorful, and, in most cases, historical homes that line the streets. Swooooon. Since the city is so walkable, we strolled all the way from Husk down to the southern tip, and found ourselves at this pretty park right on the water. We stopped to look at some of the monuments scattered throughout, but I especially loved that we could continue walking on the waterfront path as we made our way back up north. Basically, if you keep walking along the water you’ll run into another park! 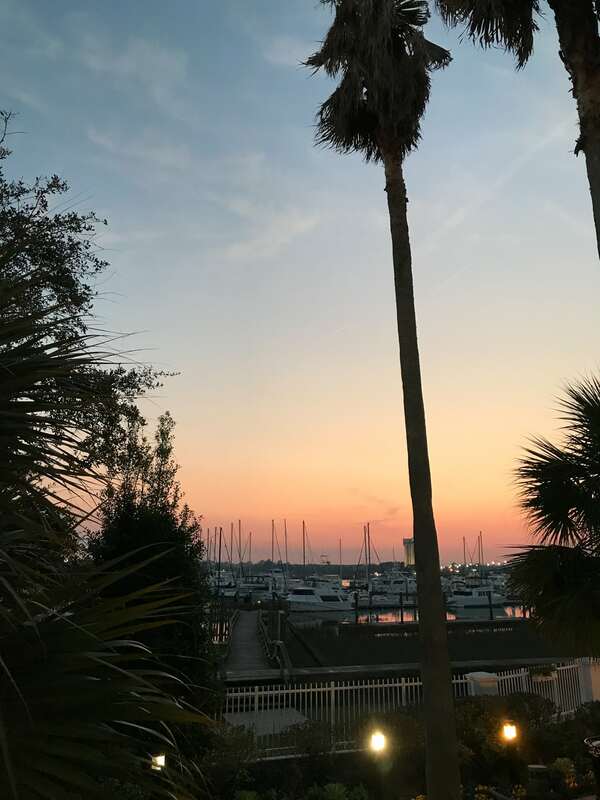 I told you Charleston was great! 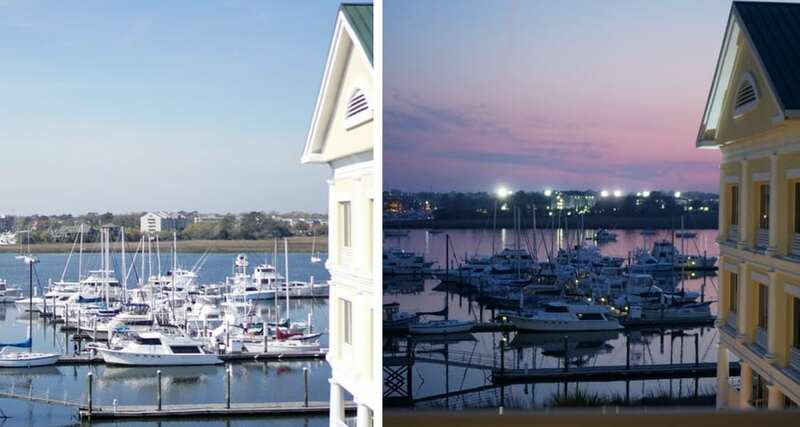 Since Adam and I flew in one night early, we discovered just how expensive Charleston hotels can be in March! Luckily, I had some Marriott points, so we used them to stay at the Courtyard on the water. 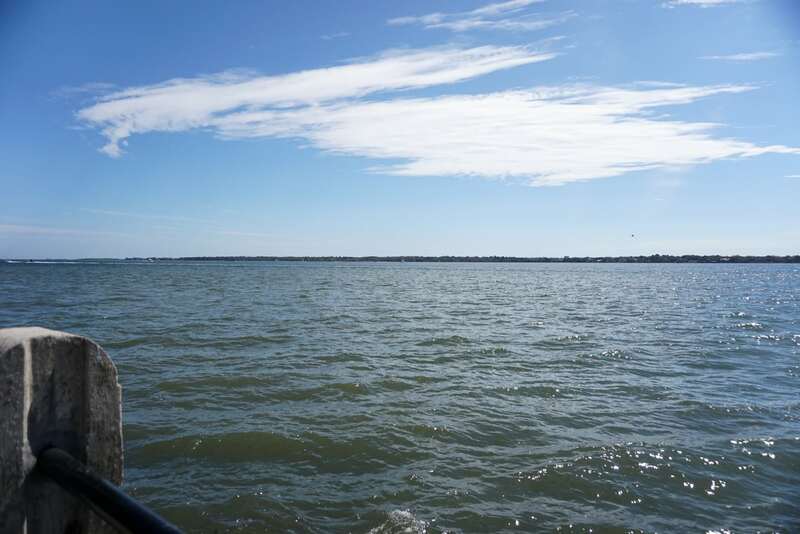 As you can see, we had a stunning view, and we were only a short cab ride from downtown! 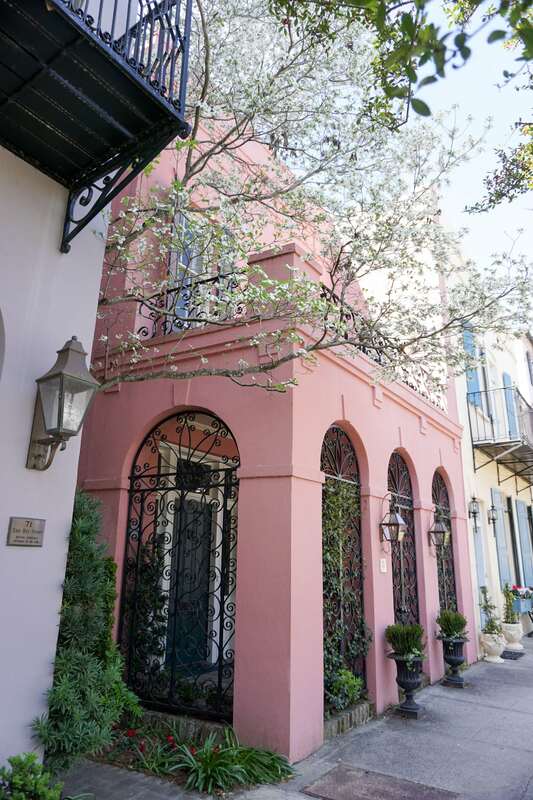 To be perfectly frank, even though we loved the Courtyard, I think getting an Airbnb is the way to go in this city. We all would have spent WAY more money if we found a hotel within walking distance of everything we wanted to do. Plus, being in a house allowed us to spend that extra time with each other. Definitely the way to go. 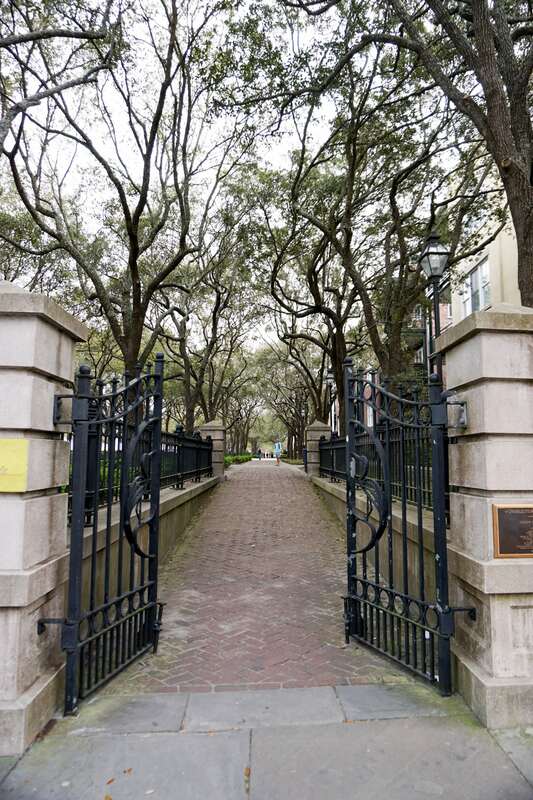 What are your favorite spots in Charleston? Next time I go, I’d love to learn more about the city’s history. 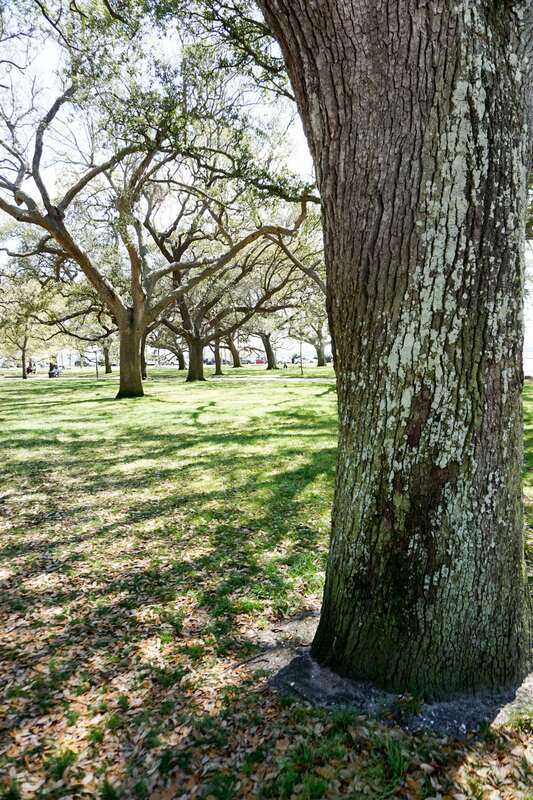 I hear Plantation Tours are really beautiful, and it looks like the trek out to Fort Sumpter would be super interesting. Have you guys ever done that? 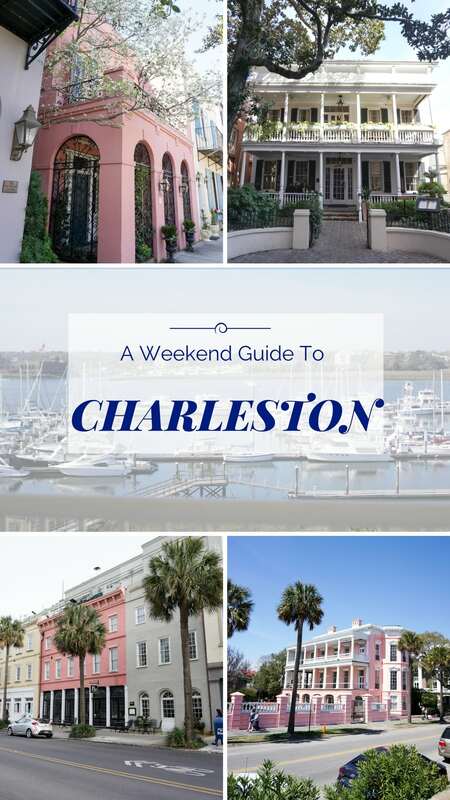 Don’t want to forget about this Weekend Guide to Charleston? Pin the image below! For more travel guides, see: My Austin Travel Guide & 10 Things To Do In Grand Rapids. 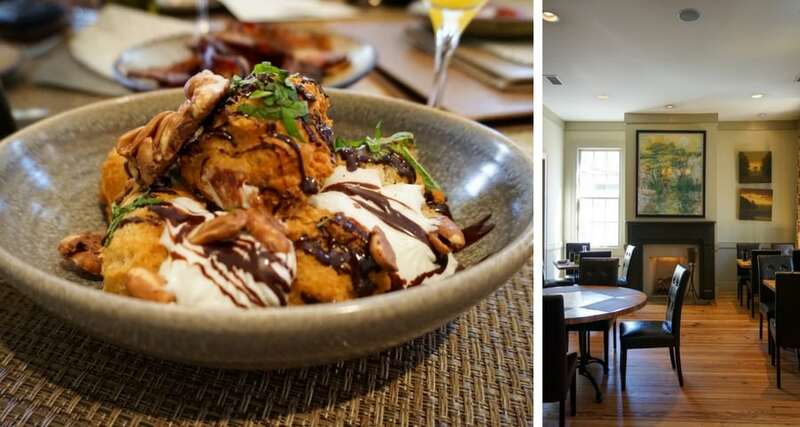 We’re heading to Charleston in July so I’m totally saving this post so I can look at all the restaurants later! Looks like it was a great trip. YAY! I would definitely try to get a reservation at HUSK well in advance though – apparently it books up super fast! 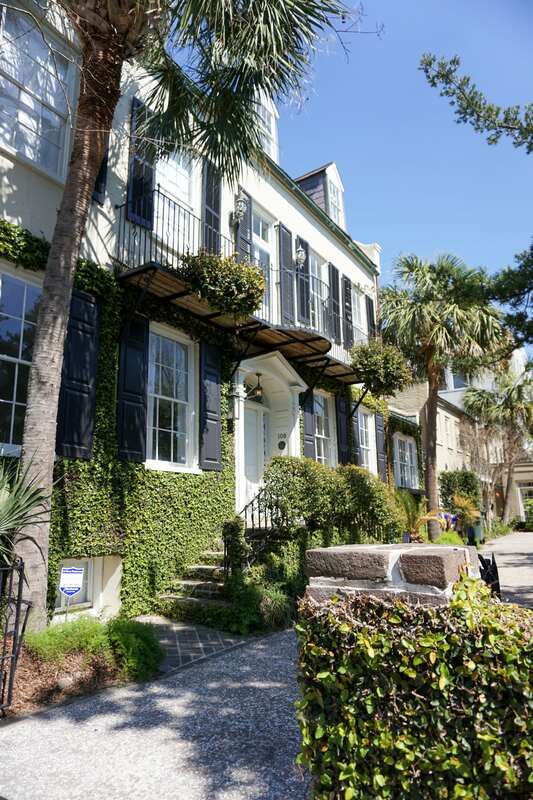 Charleston is always a gem to visit! 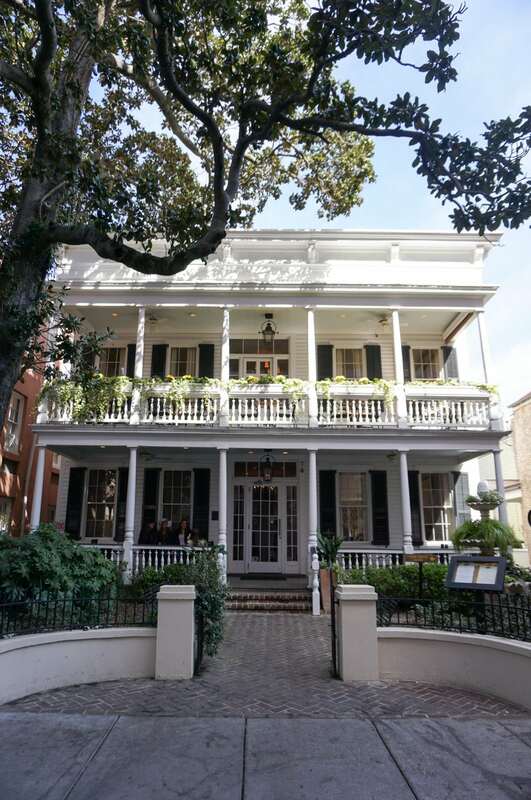 And Husk has to be one of my favorite restaurants ever! Their fried chicken skins are seriously one of the most delicious things I’ve ever eaten! I spent two summers there (go in May/June and support the arts by seeing something at the Spoleto Festival!) and I hear you about Magnolias. I mean…it’s good…but not up there with the others. 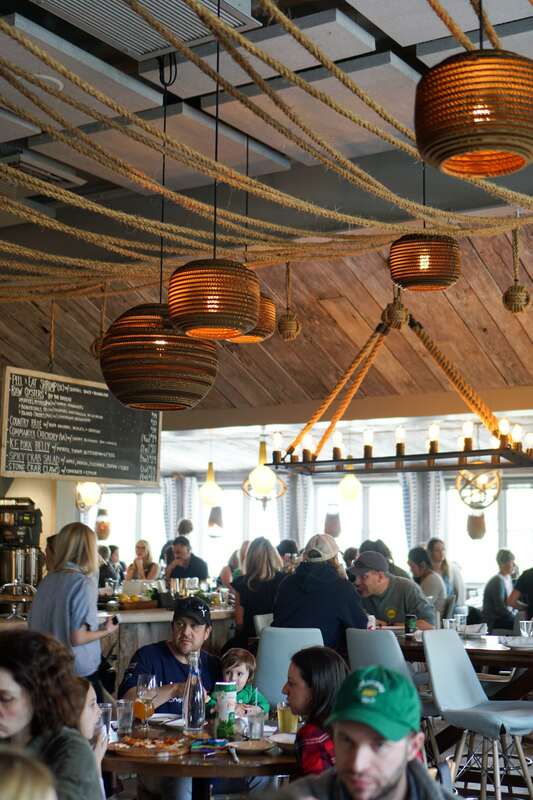 Hominy Grill is great, and Husk’s little bar next door is great too! Never did get a rez at Husk, it was fun reading about your meal there! Omg you have to go to Husk next time you’re there! You’ll love it! The Dewberry Hotel! Stayed there with my boyfriend post-Christmas and it was INCREDIBLE. 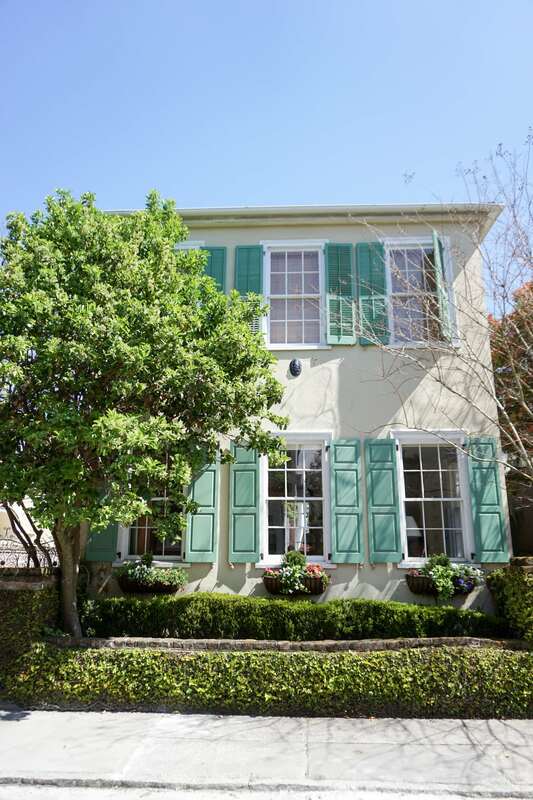 We also hear Poogan’s Porch is amazing, but didn’t make it there. I’m usually a healthy eater but Hall’s Chophouse was excellent for steak. Oh nice! I’ll keep that hotel in mind for next time!